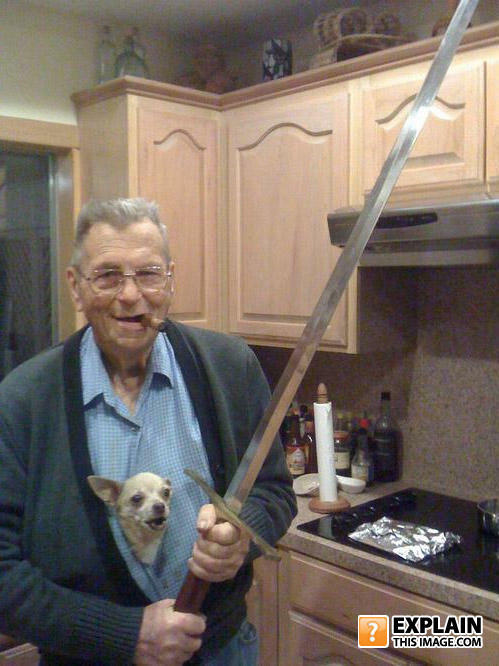 a freak accident in space-time has merged your Grandpa, General Patton, Highlander and Beveryhills Chihuahua! Link and Navi in 70 years. I seek the bravest and the finest knights in the land who will join me in my court at Camelot. When you start to think your grandpa is a soft-hearted William Wallace. I think I saw this guy at Walmart once. George Burns, you are ONE SCARY DUDE! Yo quiero kick yo a$$!!! What have in common a recently born baby and a quadriplegic blonde person?